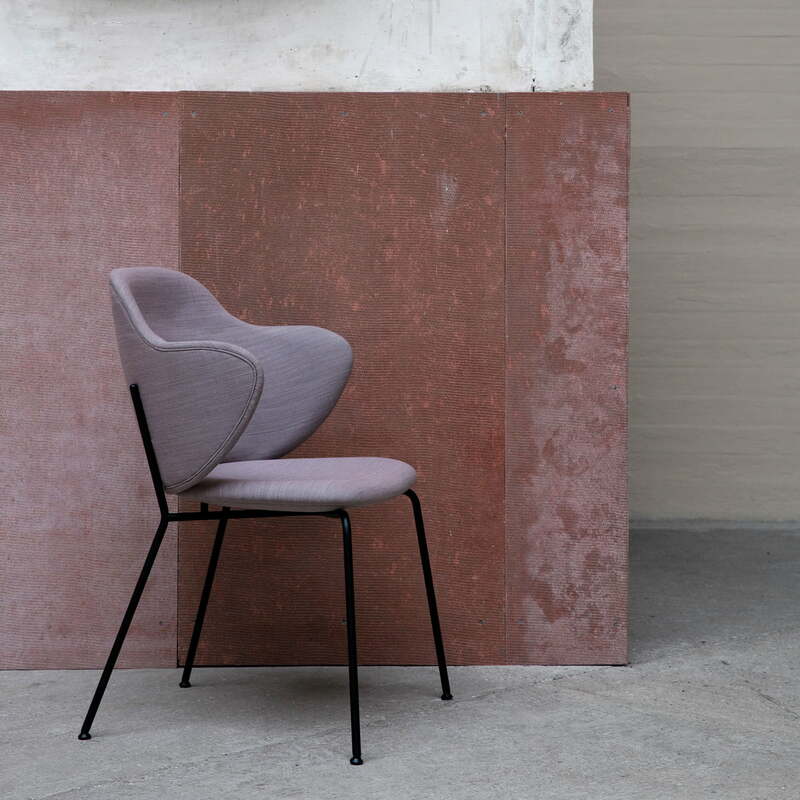 The Lassen Chair from by Lassen is an ode to the Lassen brothers, combining the DNA of both Mogens and Flemming in a single, well thought-out piece. It was designed by the chief designer Magnus Sangild, who created the Chair with much respect for the history of by Lassen. The result was a stylish complement to the famous designs, the Tired Man chair, the Saxe foldable chair and the Conekt series. 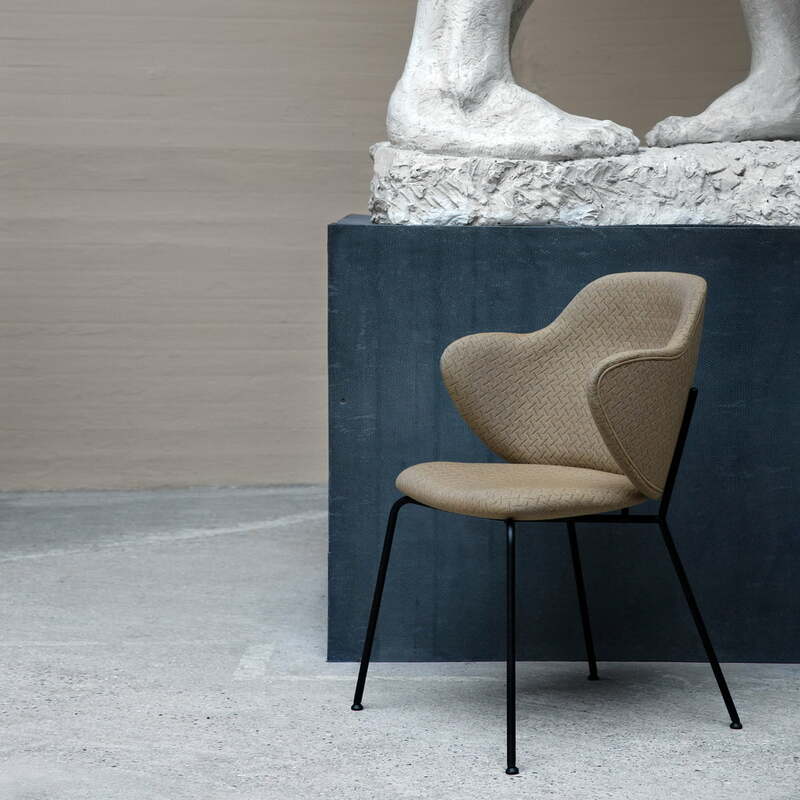 The Chair combines Flemming Lassen’s love of organic, sinuous, unconventional silhouettes and Mogens Lassen's flair for stringent contours. The padded seat and backrest is supported by a geometric structure made from powder-coated metal that looks like the iconic Kubus candleholder. The seat and padding remain comfortable and inviting. Suitable for long evenings in the living room surrounded by friends and family, as well as to read or work in the study. The seat is available in leather or fabric of various bright or subtle colours, the chair can be adapted to any environment. 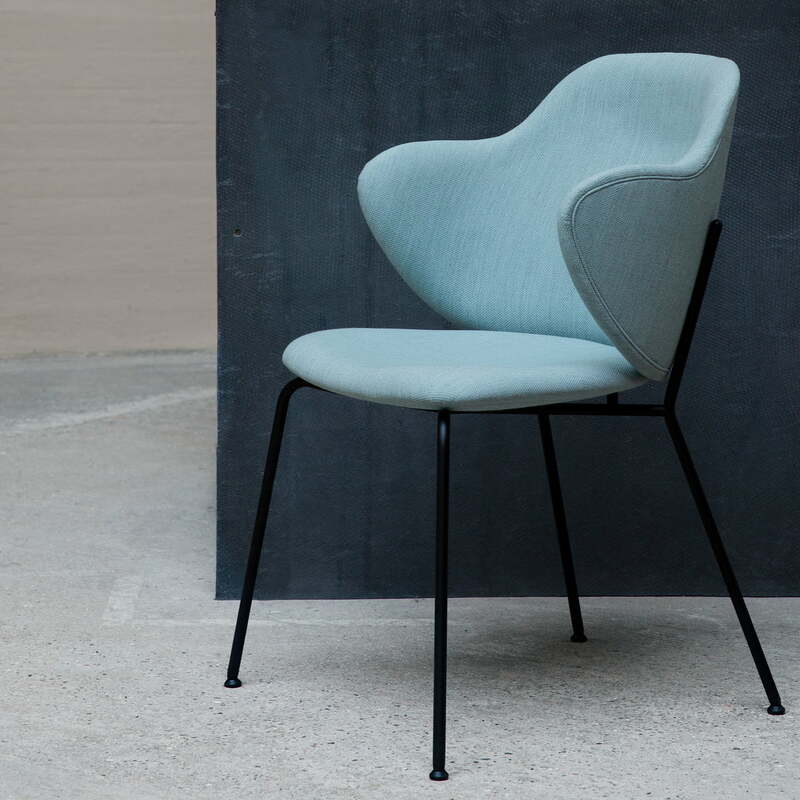 Isolated product image of the Lassen Chair from by Lassen.The stylish chair consists of a powder-coated steel frame complete with a seat and backrest made from Jupiter fabric. 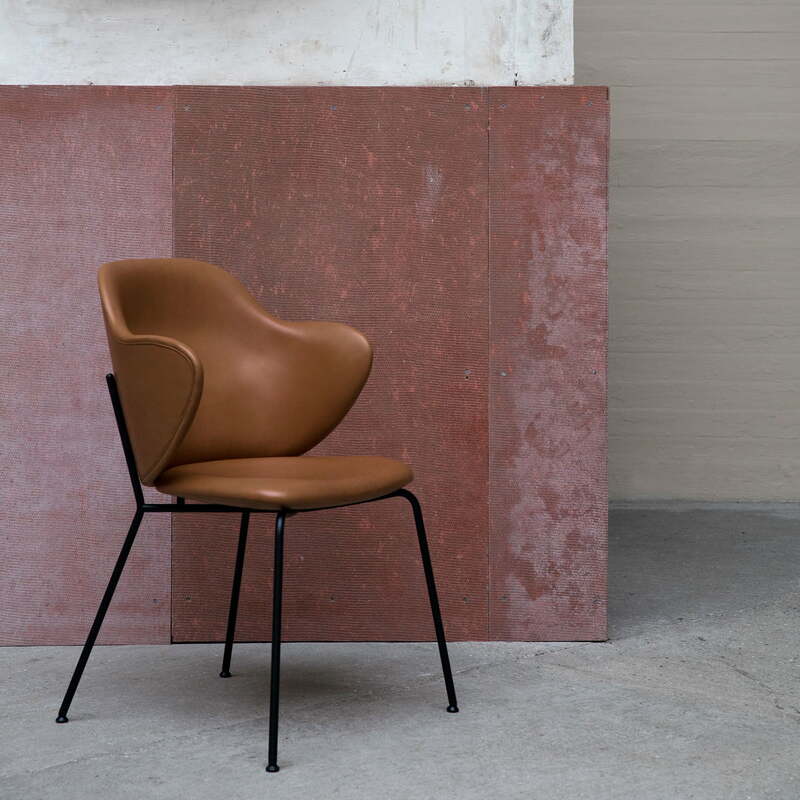 Lifestyle product image of the Lassen chair from by Lassen: The Lassen Chair from by Lassen is an ode to the Lassen brothers, combining the DNA of both Mogens and Flemming in a single, well thought-out piece. 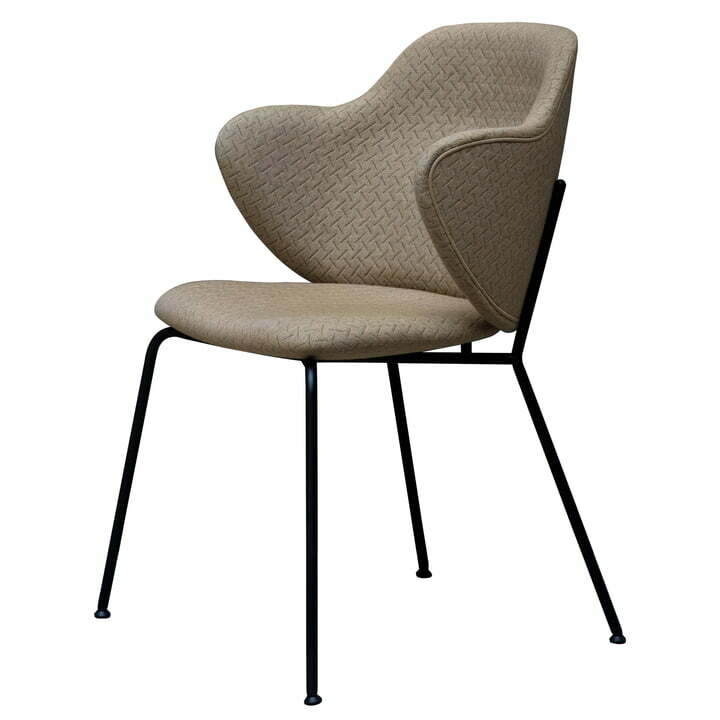 Lifestyle product image of the Lassen Chair from by Lassen in the Dining Room. 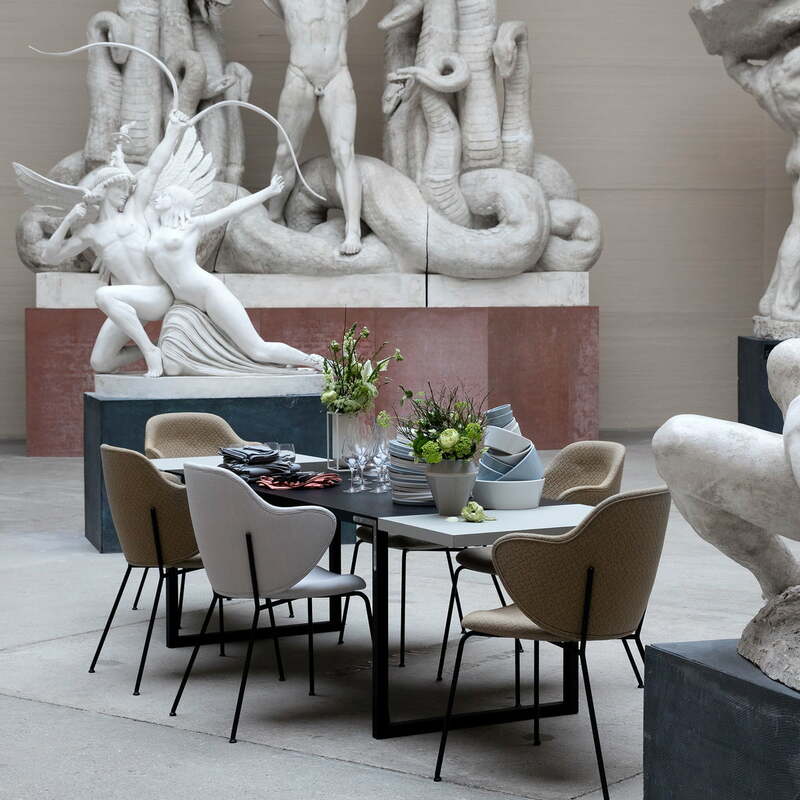 The Lassen Chair by Magnus Sangild is suitable as a chair at the dining table. Group product image of the Lassen chair from by Lassen: The seat is available in leather or fabric of various bright or subtle colours so that it can be adapted to any environment. Lifestyle product image of the Lassen Chair from by Lassen in a Museum. Thanks to its timeless yet modern appearance, the chair has already become a classic. Group product image of the Lassen chair from by Lassen: Suitable for long evenings in the living room surrounding by friends and family, as well as to read or work in the study. 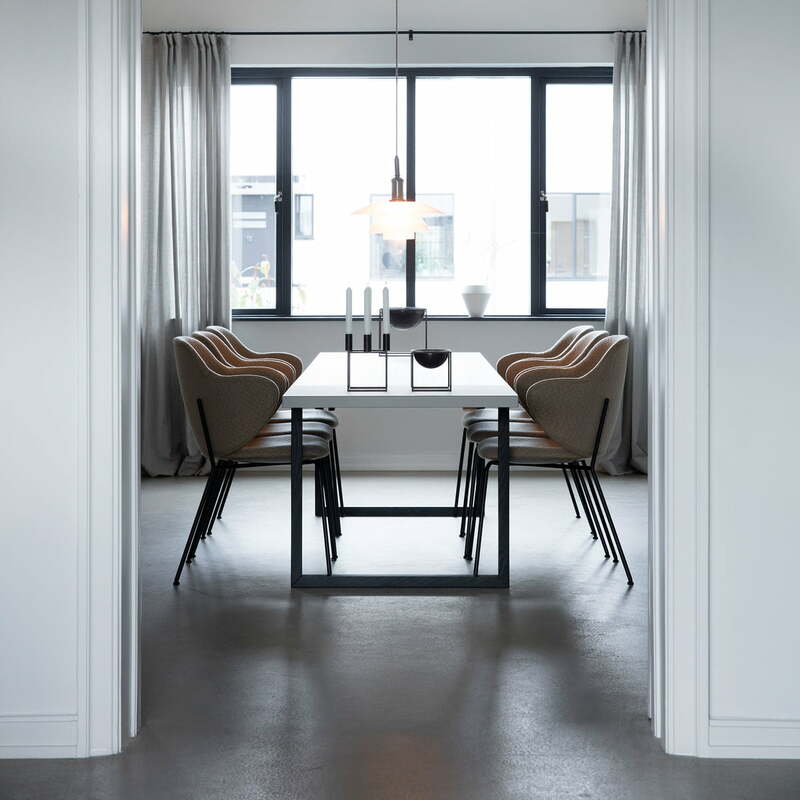 Lifestyle produt image of the Lassen chair from by Lassen: The Lassen Chair was designed by the chief designer Magnus Sangild, who created it with much respect for the history of by Lassen. Lifestyle produt image of the Lassen chair from by Lassen: Thanks to the high-quality leather, the stylish chair has an outstanding and elegant expression. Lifestyle product image of the Rimm Vase and the Lassen chair from by Lassen. 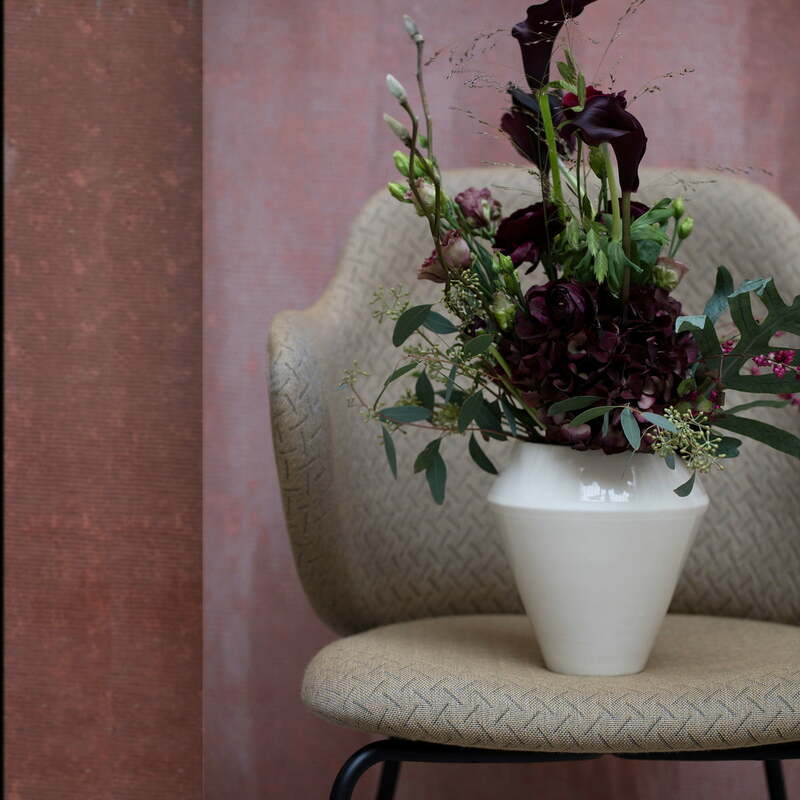 The Rimm chair can serve as a unconventional surface on which to present the Rimm vase. Lifestyle product image of the Lassen chair from by Lassen: The padded seat and backrest is supported by a geometric structure made from powder-coated metal that looks like the iconic Kubus candleholder. 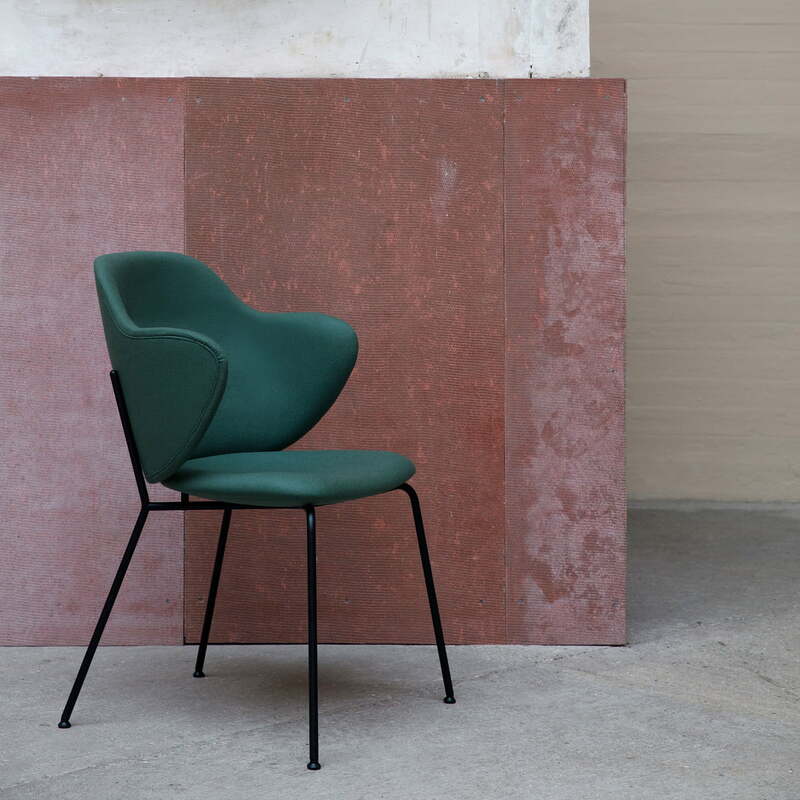 Lifestyle product image of the Lassen chair from by Lassen: The Chair combines Flemming Lassen’s love of organic, sinuous, unconventional silhouettes and Mogens Lassen's flair for stringent contours. 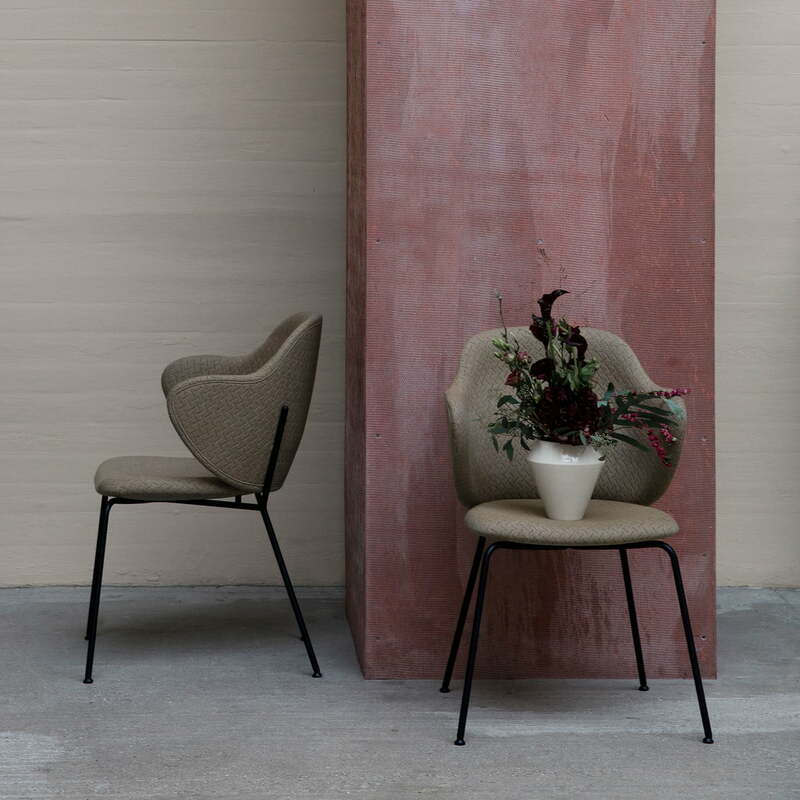 Lifestyle product image of the Lassen chair designed by Magnus Sangild from by Lassen: The seat and padding are comfortable and inviting at the same time.